Snow sculpture contest is a famous winter event held throughout Okuhida-Onsengo. 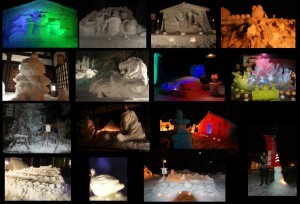 Each year several dozen splendid works of snow and ice are displayed along the streets of the hot spring town. 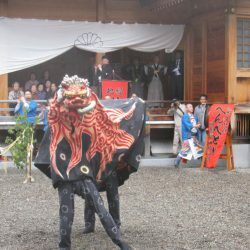 You can see many sculptures of various subjects, such as the zodiac animal of the year and recently popular characters. Period : From Feb. 8 ,2018 to Feb. 17 ,2018 (Early February every year) Event hours : Nighttime illumination is until 21:00. Venue : Around Okuhida-Onsengo area. introduce the exhibition work of last year. When the snow sculpture contest is opened, you can vote for your favorite sculpture at the following website from 8rd Feb. ,2019 Voters will enter a lottery to receive an original gift. Join in the Internet voting to win a special gift from Okuhida-Onsengo.